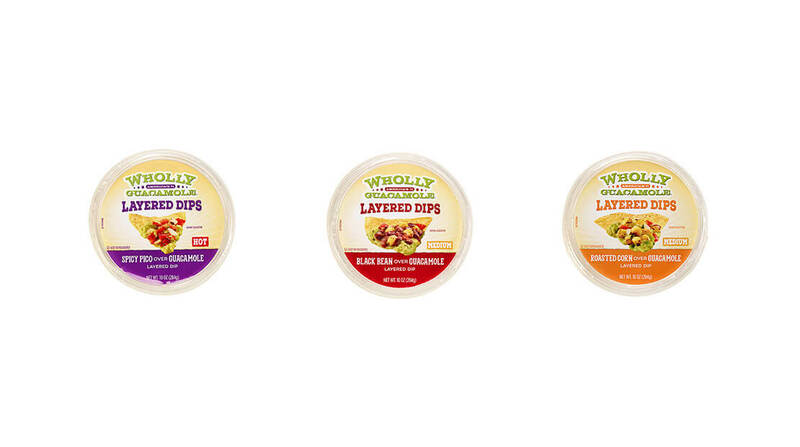 The makers of the WHOLLY GUACAMOLE® Brand, America’s #1 selling refrigerated guacamole, today announced three new flavor-packed, guacamole-based Layered Dips in its product portfolio. Continuing to modernize the prepared dips category, the company will showcase its new plant-based innovations, including Black Bean over Guacamole Layered Dip, Roasted Corn over Guacamole Layered Dip and Spicy Pico over Guacamole Layered Dip, at Natural Products Expo West (booth #H632), in Anaheim, Calif., from March 9-12. Like all WHOLLY GUACAMOLE® products, the Layered Dips (MSRP $2.99-$3.49) are made with hand-scooped Hass avocados and are gluten free and kosher certified, available in stores nationwide this spring. For more information about WHOLLY GUACAMOLE® products, stop by the WHOLLY GUACAMOLE® product booth (#H632) at Expo West or visit www.eatwholly.com. The WHOLLY GUACAMOLE® Brand is a brand of MegaMex Foods, one of the largest manufacturers of pre-prepared Mexican food across the country. A global leader in food safety, quality and innovation, the WHOLLY GUACAMOLE® brand uses High Pressure Processing (HPP) to create Wholly™ products. In addition, each product is made with hand-scooped Hass avocados and is gluten free and kosher certified. All WHOLLY GUACAMOLE® products are available nationwide in the produce or deli section of grocery stores. For more information, visit www.eatwholly.com.